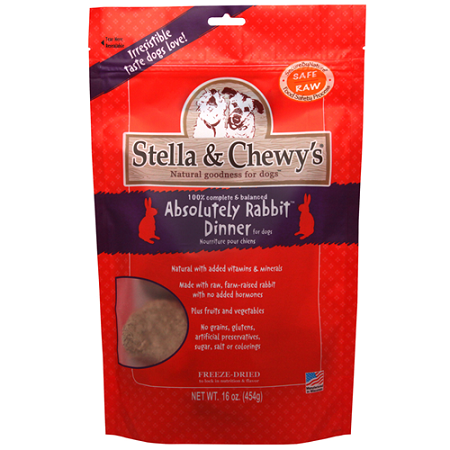 Stella & Chewy's Freeze-Dried Rabbit Dinner for Dogs is a complete and balanced nutrition for all life stages. The patties are made with raw, USDA-inspected, farm-raised, cage-free rabbit, organic fruits and vegetables, along with added vitamins and minerals. No grains, added antibiotics, artificial preservatives, sugar, salt or coloring are added. Freeze-dried to lock in nutrition and flavor and flash frozen to preserve vital nutrients, this raw diet is also certified pathogen safe. Stella & Chewy's believe smaller dogs deserve to thrive on real, raw food - the way nature intended. Because the closer foods stay to their natural state, the more bio-available the nutrients are. It's "natural goodness for dogs". Formulated to meet the nutritional levels established by the AAFCO Dog Food Nutrient Profiles for All Life StagesFormulated to meet the nutritional levels established by the AAFCO Dog Food Nutrient Profiles for All Life Stages. Feeding Guidelines: Serve as is or re-hydrate by adding warm water. 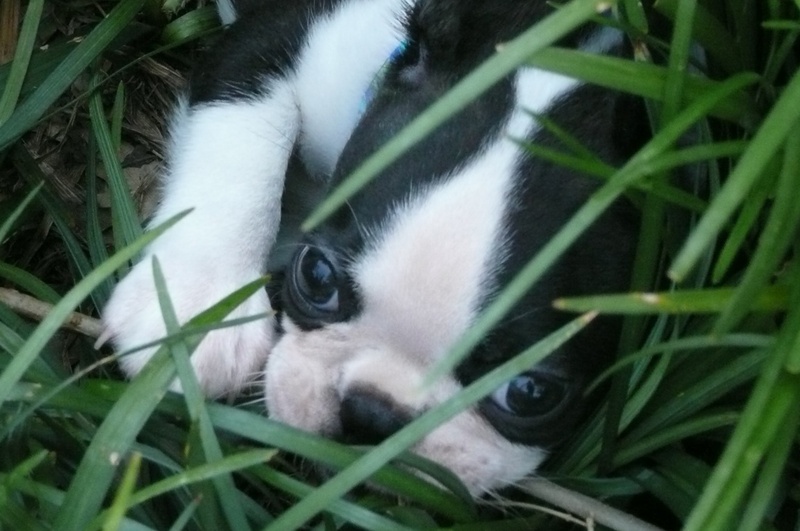 Your pet should consume 1/4 cup of water per patty daily. Diamond Naturals Lamb & Rice Adult Dog 40 Lb. Go Fit and Free Puppy Grain Free Dog Food 25 Lb.